slurry and all kinds of liquids. The Most Effective Solution For Infrastructure Applications. Pexgol, a division of Golan Plastic Products, is a global leader of heavy duty PE-Xa pipe material. Produced under high pressures and temperatures, Pexgol products results in a chemically unbreakable cross-connection between polyethylene chains. The result of this chemical connection is the creation of a material which has extremely high structural integrity, combined with resistance to a wide variety of corrosives and weather conditions. 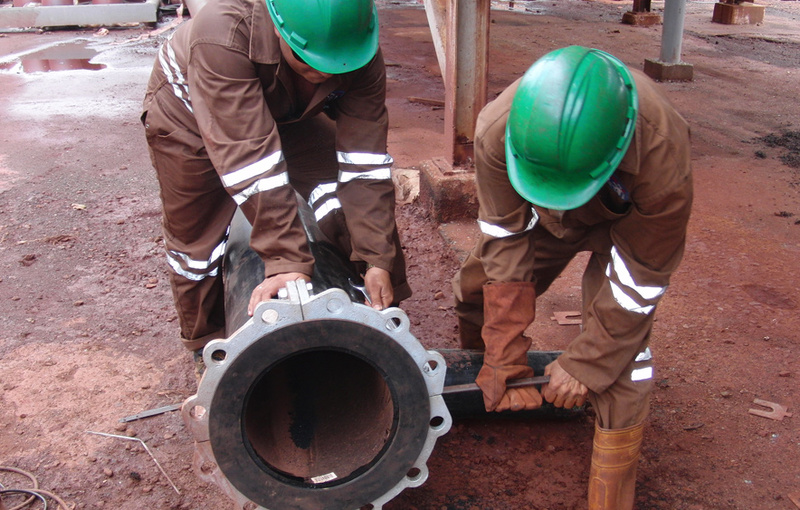 Pexgol is supported by a team of highly qualified experts that provide planning, field installation supervision and direct technical support to ensure pipeline integrity. A strong solution for today’s challenges. We work with clients all over the world in the harshest environments, providing them with a durable, integrity-strong solution. Our proven solution has an exceptionally wide range of industrial applications such us Process Water, Corrosive Fluids, Boreholes and more. Our systems are used for a wide range of infrastructure applications, including: District Heating, Water Line Pipes, Potable Water Lines and Sewerage. The most sophisticated system sold as OEM in dozens of countries. Pexgol pipes are known worldwide for their high quality. The future of oil & gas transportation starts with Pexgol piping systems. No RCP failures, immune against scratches makes Pexgol an exceptional choice. Pexgol pipes has unique capabilities that allows it to operate non-stop in fishing farms on the sea. Discover our unique capabilities through our work all over the world.